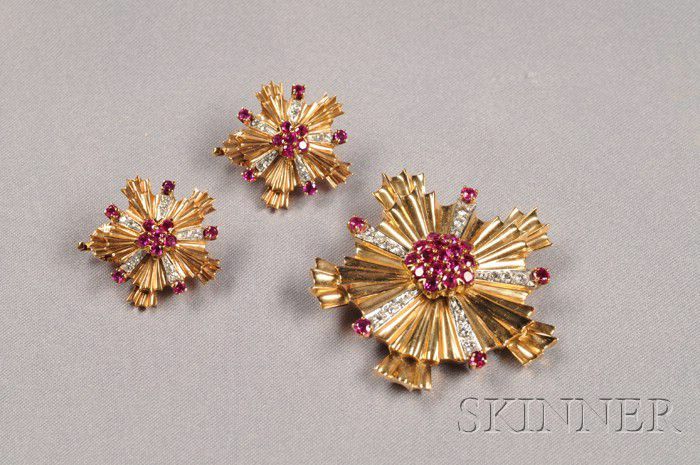 Retro 14kt Gold Gem-set Suite, Tiffany & Co.
Retro 14kt Gold Gem-set Suite, Tiffany & Co., comprising a brooch and earclips each designed as a starburst, set with circular-cut rubies and full and single-cut diamond melee, 23.7 dwt, lg. 1 5/8, 7/8 in., signed. 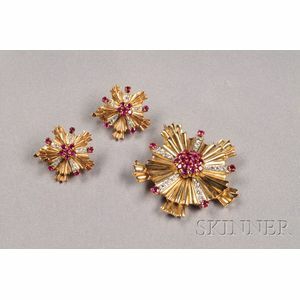 Mainly clean without evident problems, pleasant color, diamonds lively.